Due to technical difficulties, Podcast #60 failed to post properly. For this reason, we have reposted. Regenerative Medicine Today welcomes Dr. Vera Donnenberg, Assistant Professor of Surgery and Pharmaceutical Science at the University of Pittsburgh. A persistent problem in cancer treatment is cancer recurrence after apparently successful therapy which in turn is mediated by a dormant and protected cancer stem/progenitor like cell. Her lab is focused on approaches that can be translated into and understanding the biologic basis for treatment failure and identifying new immunological therapeutic targets. She introduces the concept of a cancer vaccine to address these needs. For more information about Dr. Donnenberg, please click here. 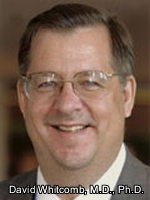 Regenerative Medicine Today welcomes Thomas Tillett, who is the founding President and CEO of RheoGene. Under Mr. Tillett’s leadership, RheoGene established an innovative clinical development program with the RheoSwitch ™ Therapeutic System that has led to the first human clinical trial of a small molecule induced gene regulation system. A Phase I clinical trial for melanoma was started in 2008. This represents a major advance for gene therapy therapeutics that offers the potential for significant improvements in safer and more controllable forms of gene therapy. RheoGene also received a $4.3 million grant from the Michael J. Fox Foundation to support the development of a novel therapeutic for Parkinson’s disease. Mr. Tillett also led the successful merger of RheoGene Inc. with Intrexon Corporation at the beginning of 2007. 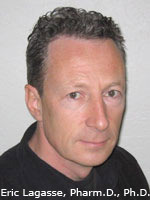 Regenerative Medicine Today welcomes Jörg C. Gerlach, MD, PhD. 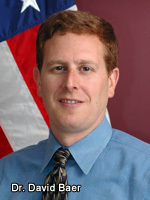 Dr. Gerlach is Professor of Surgery at the University of Pittsburgh. 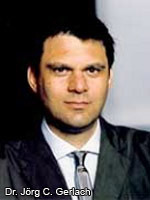 Prior to his current appointment Dr. Gerlach founded the Charité Institute for Transplantation and Organ Regeneration (CITO) at the Charité Medical Faculty of the Humboldt University Berlin, Germany. 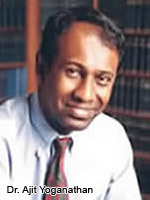 His specialties lie in surgery, hepatology, intensive care and experimental transplantation medicine. 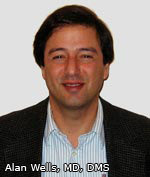 Additionally, he has an engineering background with expertise in artificial organ development, hybrid system research and preclinical trial efforts. Dr. Gerlach discusses his work on the development of tools such as bioreactors for the expansion of cells so that sufficient cells are available for cell-based therapies. Areas of focus include pancreas, and liver. 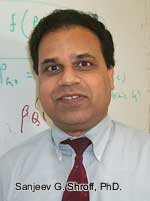 He also explores the development of “cell factories” for the production of cells from a patient’s bone marrow. 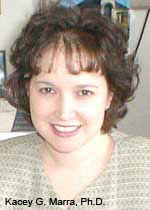 Another of Dr. Gerlach’s interests is cell-based burn therapy, which is described on the interview. Click here to learn more about Dr. Gerlach’s Bioreactor Group. 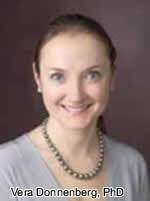 Regenerative Medicine Today welcomes Dr. Kacey Marra. Dr. Marra is an Assistant Professor of Surgery, University of Pittsburgh and Director of the Plastic Surgery Lab at the University of Pittsburgh. Dr. Marra’s research is focused on the use of adipose derived stem cells for the regeneration of nerve, bone, adipose and cartilage. The lab uses adipose-derived stem cells for these bioengineering applications. The Lab is combining basic science and clinical research to turn innovative ideas into realities through the use of adult stem cells derived from fat. Fat, or adipose tissue, contains an abundant number of adult stem cells, over 10 times more than in bone marrow. These cells not only regenerate adipose tissue, but they can reconstruct a variety of injuries and defects by being coaxed to develop into nerves, bone, or cartilage. Finally, Dr. Marra discusses her strong commitment to mentoring women and minorities in the career opportunities that are available in science and medicine. For more information on the Adipose Stem Cell Center, please click here. Click here for more information on the Plastic Surgery Research program. Regenerative Medicine Today welcomes Eric Lagasse, PharmD, PhD. Dr. Lagasse is an associate professor in the Department of Pathology and the Director of the Cancer Stem Cell Center, a joint venture between the McGowan Institute for Regenerative Medicine and the University of Pittsburgh Cancer Institute. Dr. Lagasse discusses his pioneering research on the use of stem cells for liver therapy. He also describes his research on the identification of cancer stem cells, and possible alternative cancer therapies if the hypothesis is affirmed that cancer stem cells are the source of the tumors and the reason for metastasis. Click here for more information on Dr. Lagasse’s research. George Christ, PhD visits Regenerative Medicine Today and shares his vision on regenerative medicine. 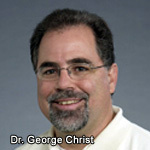 Dr. Christ is a professor at Wake Forest University and the Wake Forest Institute for Regenerative Medicine. 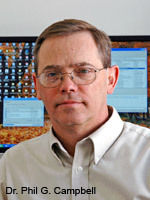 Dr. Christ’s research interests are in the area of functional genomics, that is, establishing a verifiable link between changes in gene expression and alterations in cell/organ/tissue function/dysfunction, and then using this information to improve the understanding, diagnosis and treatment of smooth muscle diseases/disorders. 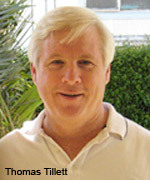 To this end, Dr. Christ has developed a multidisciplinary approach that utilizes various visceral and vascular smooth muscle tissues/organs to attempt to establish “cause and effect” relationships between molecular/genetic alterations and measurable changes in organ function, namely, contraction and relaxation of smooth muscle cells. Details of Dr. Christ’s work are available here. To learn more about the Wake Forest Institute for Regenerative Medicine, please click here. 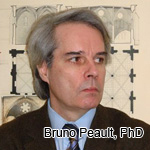 Dr. Bruno Peault visits Regenerative Medicine Today and discusses the status of his emerging results on the identification, characterization and application of adult stem cells for therapeutic applications. Dr. Bruno Peault and his colleague, Dr. Johnny Huard, provide the leadership for the Stem Cell Research Center at the University of Pittsburgh/Children’s Hospital of Pittsburgh. The Center focuses on expanding the possibilities of tissue engineering by unlocking the potential of gene therapy and adult stem cell research and transferring research findings into the development of effective treatments for damaged or diseased tissues. In this podcast, Dr. Peault highlights some of the promising initiatives emerging from his laboratories and explores the future in cell-based therapies. One of the topics addressed in the interview is that the Peault Lab has identified that adult human adipose tissue is an accessible source of perivascular cells. These cells exhibit multilineage potential; these results suggest that the adipose tissue-derived pericyte is an attractive candidate for cell-based therapy of muscle diseases, and also indicates the likely vascular origin of the elusive fat-derived stem cells.